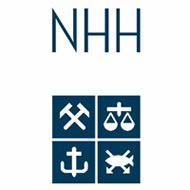 NHH Norwegian School of Economics is one of the leading business schools in Europe. NHH has an internationally recognised research environment and is the first choice forstudents who want to study business administration in Norway. NHH has 3,400 students and 400 employees. NHH in Bergen, Norway, invites applications for a position as Associate Professor in Marketing at the Department of Strategy and Management. We are seeking ambitious candidates early in their career. The Marketing group at NHH is in the process of establishing high quality research and teaching in the area of Marketing Analytics and Modeling. Candidates should demonstrate relevant research and teaching capabilities in Marketing, and preferably at the intersection of Marketing and Marketing Analytics/Modeling. The position involves teaching on average two courses a year, supervision of students and various administrative duties. Applicants should possess a PhD in Marketing, and ideally have research interests at the intersection of Marketing and Marketing Analytics/Modeling. Documented research and teaching skills are important in the evaluation of applicants. We invite the best-qualified applicants to present a research paper at the Department or give a lecture, in addition to an interview. In the assessment of applicants, international experience and qualifications will be emphasised. In the event of equivalent qualifications, female applicants will be given preference. The salary will be negotiable within the Norwegian State Salary Scale for associate professors. In Norway, health care, schools, and most other public services are free. NHH offers a favorable arrangement with membership in the Norwegian Public Service Pension Fund, generous research funds for traveling and conference participation, and a bonus system for publication in top international journals. The city of Bergen has a mild and coastal climate and offers rich opportunities for culture and outdoor activities – as well as a family-friendly environment. Explore visitnorway. Three reference letters must be submitted by e-mail directly to NHH (hr-references@nhh.no) from the referees within 6 May 2019. Applications must be submitted online. To open the application, please click 'Apply for this job'. For English version, go to the menu at the top right side. Please attach information about education, prior positions and work experience to the application, as well as a list of publications, a complete CV, certificates with grades, and any other relevant documentation. A maximum of ten publications and working papers should also be attached for evaluation. In accordance with §25 (2) of the Freedom of Information Act, information about the applicant may be made public even if the applicant has requested not to have his/her name entered on the list of applicants. The applicant will be notified if his/her request is not respected. Deadline for applications is 6 May 2019. This date also applies to the submission of publications/written work.